The Firsts gained their first win of the season as they dominated the game from the moment Ed Wharton hammered 32 from 19 balls and Flitwick contributed a sizable number of their 45 wides. Solid contributions from the rest of the top order followed: William Heslam (40), Rob Lankester (44), James Heslam (41) and Richard Wharton (32), but extras (58) top scored as Reed amassed 267-7. With injury handicapping Harry Thurstance and Danny Muschamp, Flitwick struggled to 79-7 by the drinks break, well contained by the host’s seamers and some excellent catching. Indeed all six of Reed’s attack took wickets with Toby Fynn (10-2-31-3) and Karl Ward (10-2-29-2) the pick of the bowlers. The tail, however, proved more resilient, taking their total to 150 until they were spun out by Sean Tidey and Ed Garrott. Report submitted by Peter Wholley. 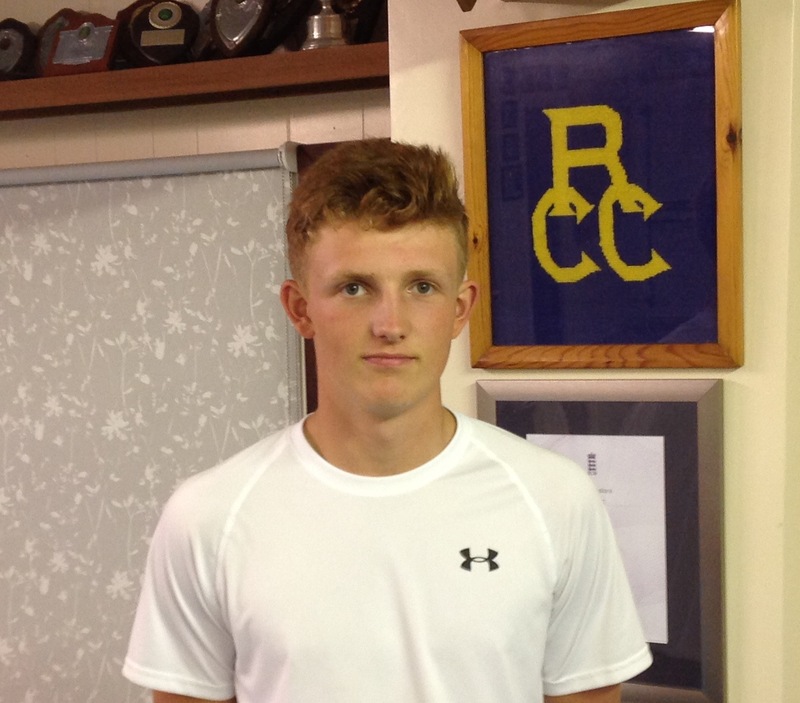 15 year-old Mike Catt, in only his second game for the first team, battled for all but 3 overs of Reed’s innings to an unbeaten 66, enabling them to total 215. He found support from James Heslam (25) and Chris Jackson (32) in two half century partnerships, but a middle order collapse meant that they had to rely on a belligerent 23 from last man, Jack Tidey, to gain their fourth batting bonus point. At first, Flitwick struggled against some tight opening overs from Ed Wharton and Jack Tidey, aided by Tom Greaves, who removed their Sri Lankan star, Nawela, with his first ball. However, the Thurstance brothers put on 82 at a steady rate until Harry was trapped by Sean Tidey for 32. The prolific George threatened to post yet another century, but the returning Wharton (10-1-37-4) had him caught for 74 by a diving Mitchell Cooper and with Jack Tidey steaming in at the other end with figures of 10-1-27-2, Flitwick also stuttered to 177-7. After ricking his knee, Sean Tidey had to limp through his remaining overs, so Flitwick managed to scramble over the line to win by 2 wickets, having less than 2 overs remaining. As a result, with one match left, it is likely that Reed will finish fourth in the Championship this season, just behind Flitwick. Report submitted by Peter Wholley.